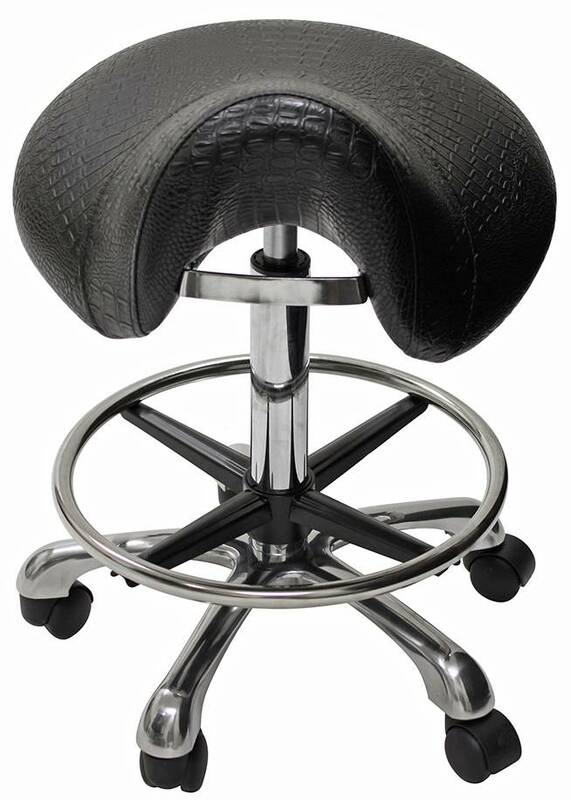 Free Ground Shipping On Select Items! 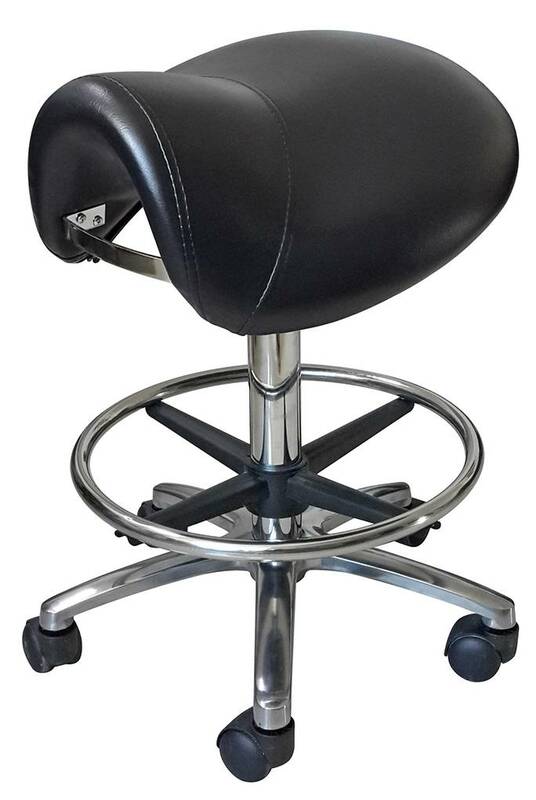 Comfortable padded saddle stool with five caster base, chrome foot ring and air lift. 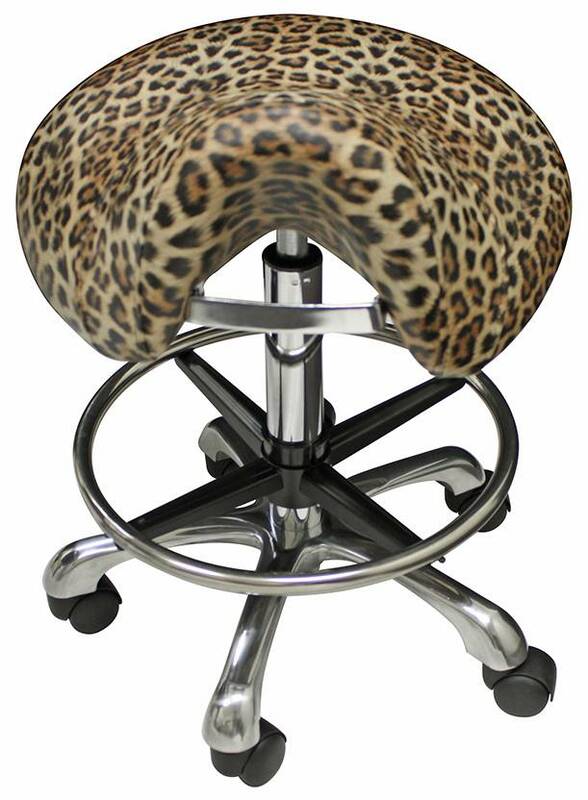 FREE Ground Shipping within Contiguous 48 States! 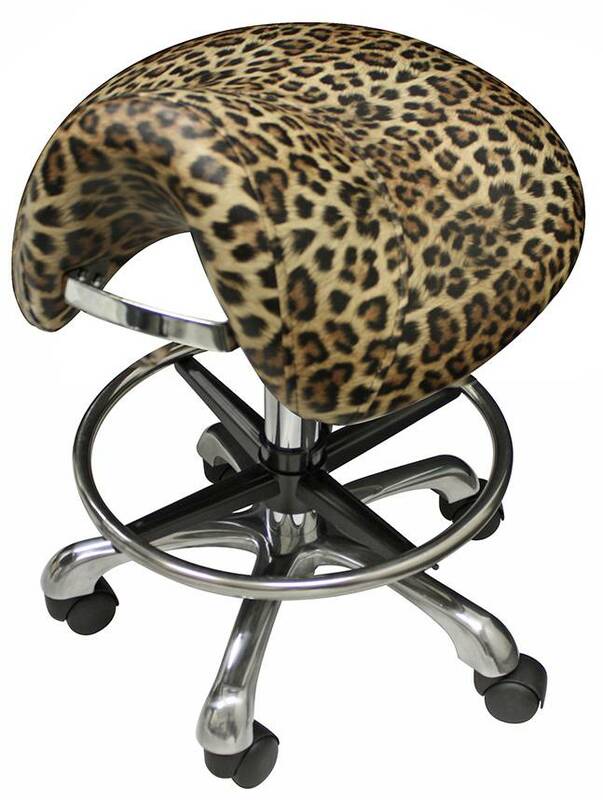 For Express Shipping, please call for pricing. 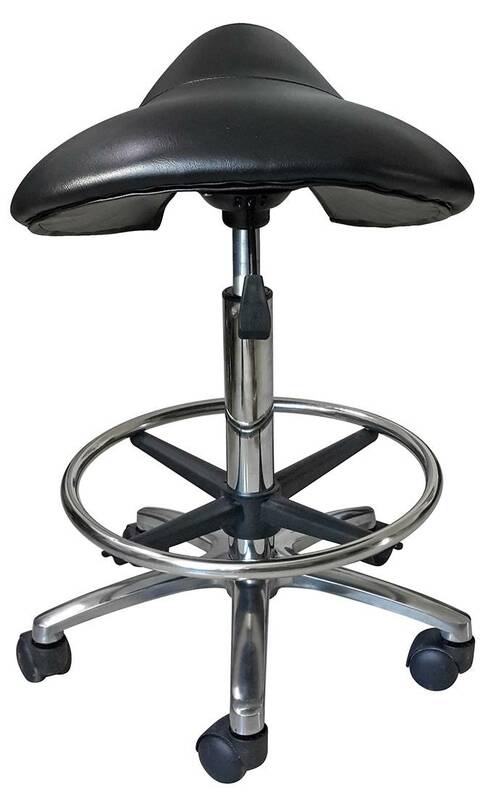 Comfortable padded saddle stool with five caster base, chrome foot ring and air lift. 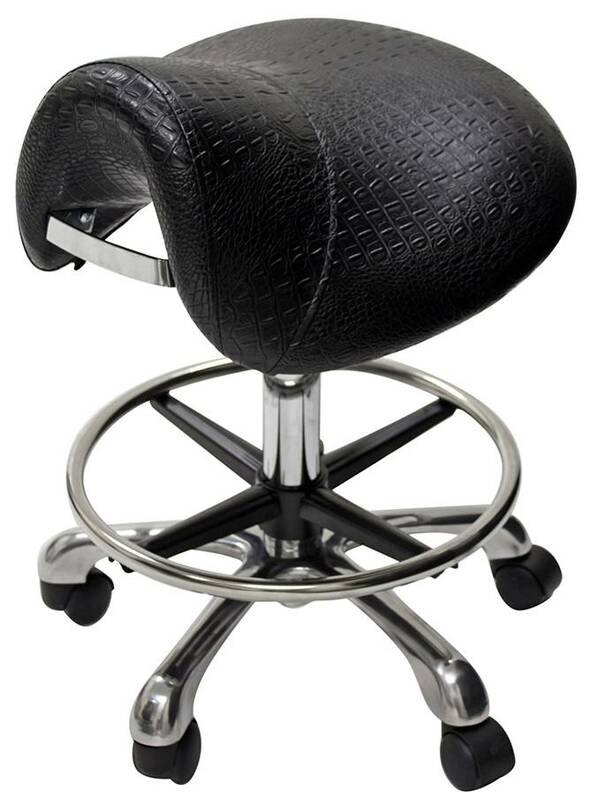 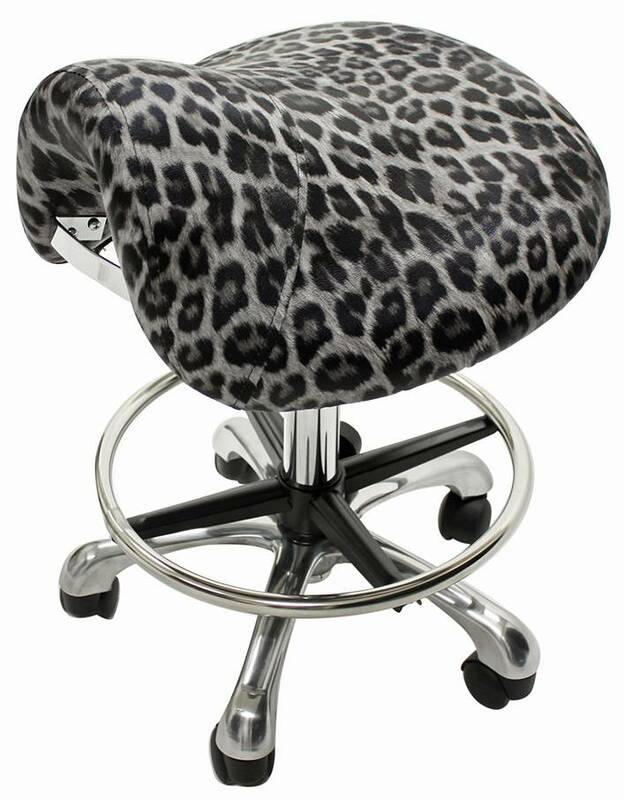 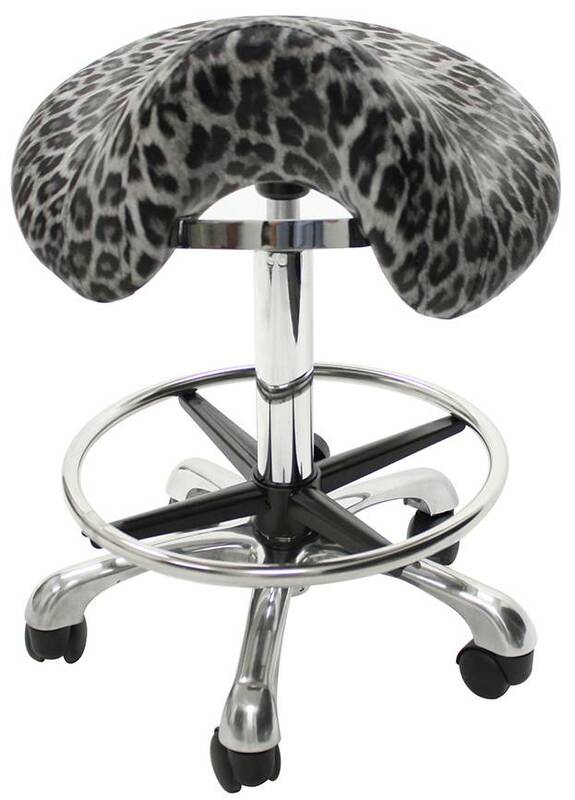 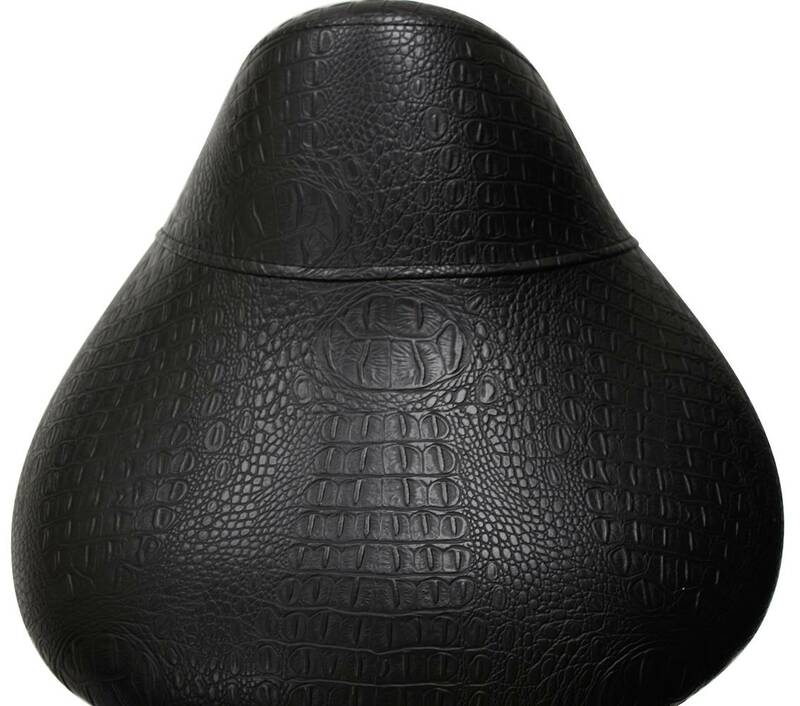 This salon saddle stool is great for the stylist & manicurist. 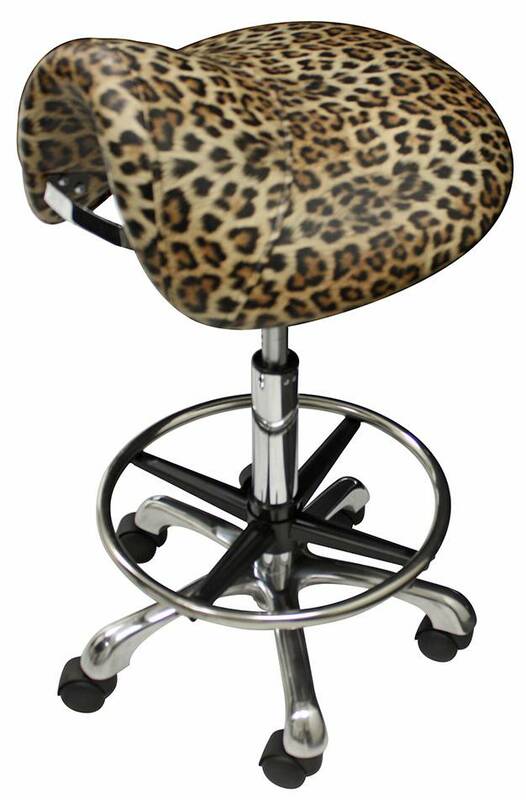 Stop standing all day with foot pains or back problems and buy this stool! 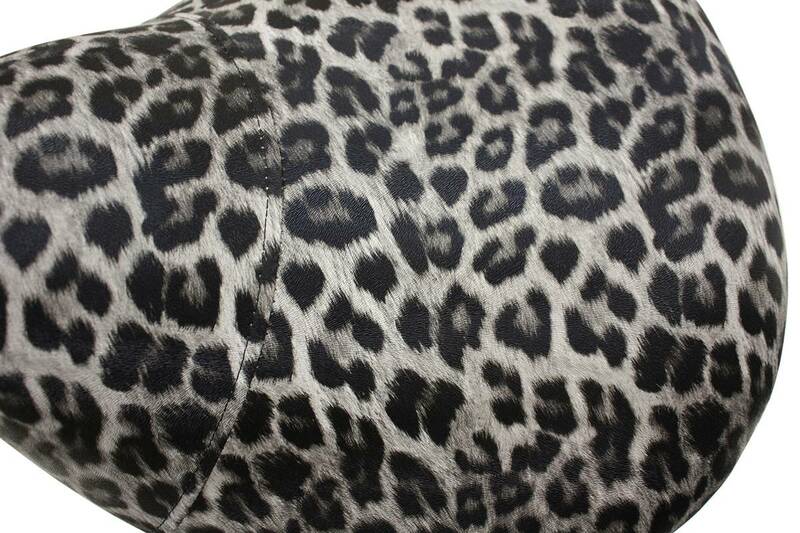 Available colors: Black, Brown, Faux Black Crocodile, Grey Leopard, and Yellow Leopard. 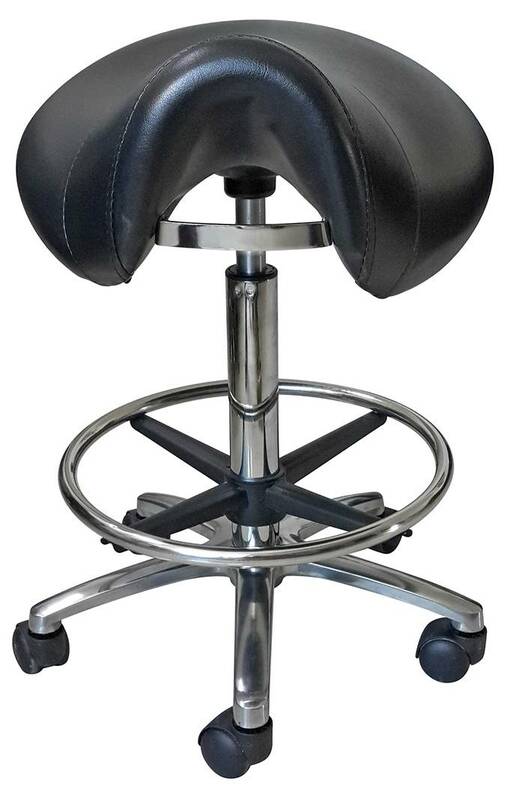 Please select your choice. 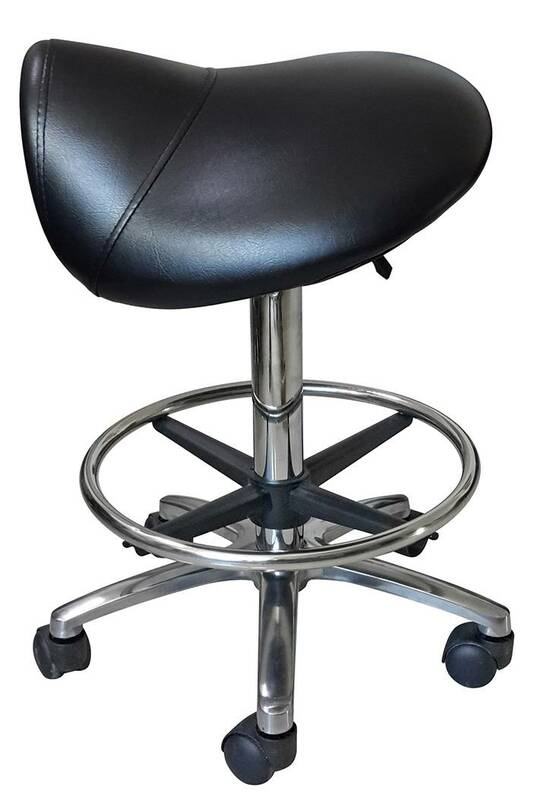 Dimensions: (L x W) 20" x 17"
Adjustment Height: 20" - 29-1/2"
Copyright © 2001-2017 CONSONANCE COMPANIES, INC. ALL RIGHTS RESERVED.